It was as simple as this: I set down the novel I was reading, Letters from Yellowstone, for a walk in the woods. And there I came upon Calypso Bulbosa, one of the wildflowers that Alex, the main character, had discovered. “It was rapture. Pure rapture,” Alex cried. And naturally, upon the mossy bank in the old growth forest in which I live on San Juan Island, where I too spotted the diminutive orchid, I shared her unbridled joy. And then I did a terrible thing. I bent over, and with two fingers pulled it out of the ground. 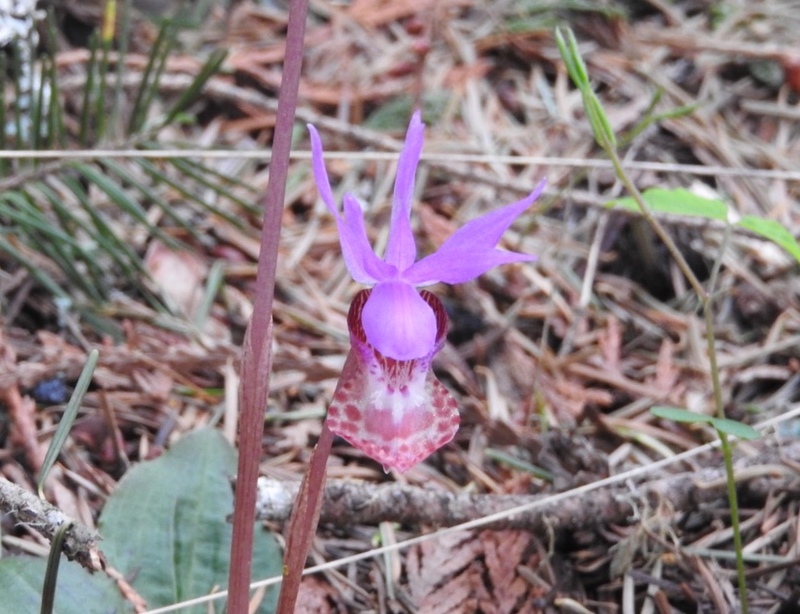 A genus of orchid found in undisturbed sheltered, northern and montane conifer forests across Canada from Alaska to Newfoundland, as well as northeastern and western U.S., the petite and delicate Calyso Bulbosa, sometimes known as “calypso orchid” or “fairyslipper,” makes but a brief appearance each spring. I must have been thinking of Alex who meticulously noted, sketched, and collected Rocky Mountain plantlife for field study from camps high in the backcountry. I may even have been thinking I was Alex. Yet already, in 1898, the newly created Nation’s Park was up against developers and railroad barons petitioning for right of way through the park. It was the naturalists who fought to save it. There are people who like their places wild—and we can count ourselves among them. Just as Yellowstone National Park comprises an impressive 3,468 square miles of canyons, mountain ranges, rivers, and lakes, the archipelago of the San Juan Islands comprises over 400 islands at high tide, only 128 of which are named. Defined by mountains to the east, and sea to the west, and between the U.S. mainland and Vancouver Island, B.C. Canada, we might as well have been declared a National Park. In any case, as stewards of the environment we are intent on keeping it that way.